We are trying to determine if this recent data is a hiccup or the start of a rebound in housing activity. 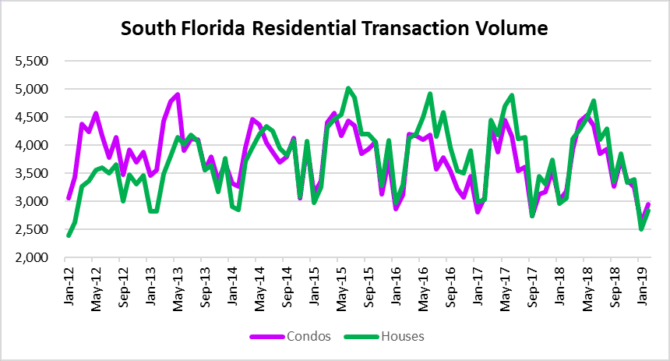 Deal volume picked up in February with a total of 5,790 closed residential transactions, up from the dismal number of 5,113 in January. We always remind people that one month doesn’t make a trend, so this will be worth monitoring as we progress through the year. South Florida residential inventory climbed during the month of February to 54,242 listings. We haven’t seen these inventory levels since August of 2011. There were 21,664 houses and 32,578 condo properties on the market last month. 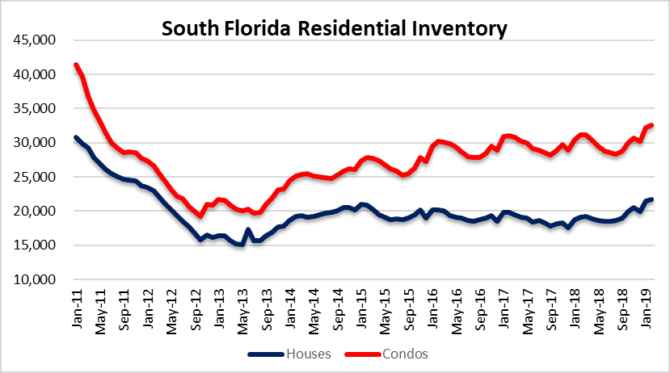 Looking at condos specifically, the inventory levels for that segment haven’t been this high since June 2011 emerging from the last condo crash. Inventory leads price, so as long as the number of available properties climbs, prices will be facing a headwind. 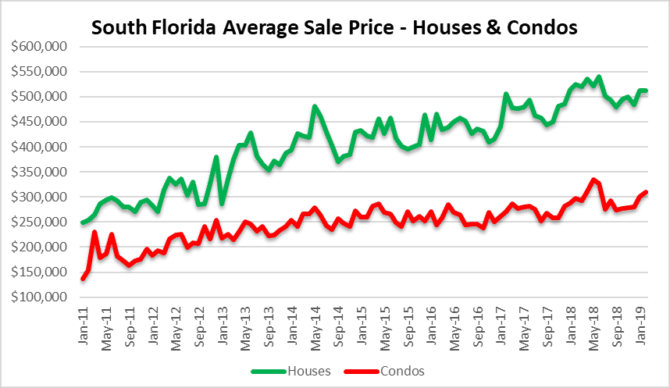 There wasn’t much movement in sale prices last month across South Florida. The average price of a single-family home was $512,2017 in February, down from $512,795 in January. Condo prices increased slightly from $300,925 in January to $309,463 in February. This may be attributed to a few high-end condo units dragging the average higher. 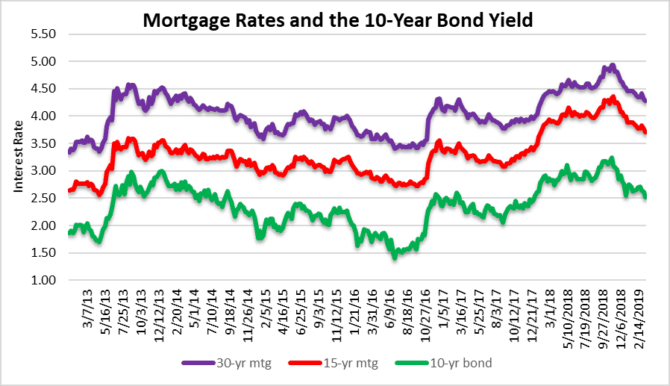 As you may have seen in the headlines, there has been a noticeable decline in mortgage rates. Do you remember how everyone would cheer whenever rates dropped? Bad news in the economy seemed like good news for everyone in real estate. Is bad news now bad news again? Rates wouldn’t be in a free-fall if the economy was strong. This may provide some support for the real estate market in the short term. Who knows how long the support will last. This entry was posted in Fort Lauderdale real estate, Market Insight, Miami real estate, Mortgage rates, Palm Beach real estate, South Florida Real Estate and tagged condo prices, Fort Lauderdale condo market, Miami condo market, Miami real estate, mortgage rates, Palm Beach condo market. Bookmark the permalink. Both comments and trackbacks are currently closed.